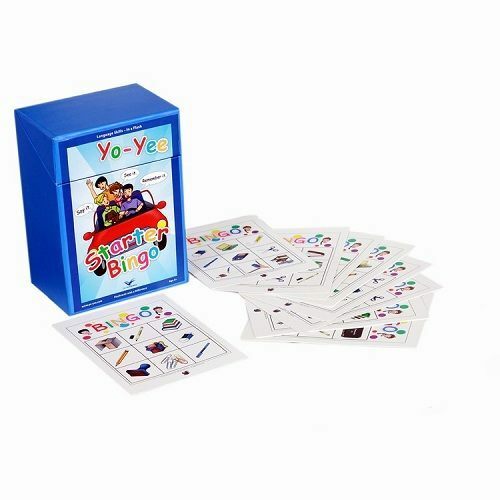 This classic bingo game is adapted for learning English as a second language and provides great opportunities for language learners to improve their comprehension and oral language skills. Also it is a great add-on-learning tool to further the development of the four major skills what are needed to acquire fluency in learning a new language: reading, writing, comprehension and speaking. It is very easy to adapt bingo to your unique classroom environment and eliminates hours of teaching preparation time. Yo-Yee Bingo Sets are designed to reinforce pre-learned vocabulary from the Flashcard Sets. 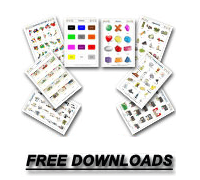 Each Bingo Set includes 256 high quality, laminated, cleanable and tear resistant bingo cards. The cards are 5.83 × 8.27 in = Din A5 (210 x 148 mm) and come on laminated carton paper with rounded corners for safety. 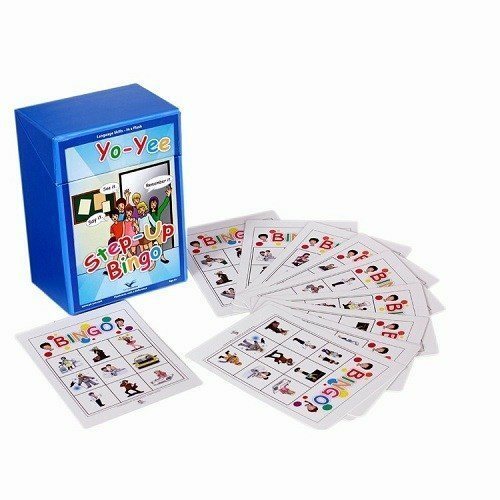 Our Bingo cards are an excellent teaching tool for practicing vocabulary and playing fun games with students.